Complete the look of your Asian inspired garden with the tranquil sounds of running water and the beautiful details of this water feature. A relief of the Buddha's face is shown up close on the back of the fountain. The water cascades gently over him as it runs into the rectangular, illuminated basin beneath. 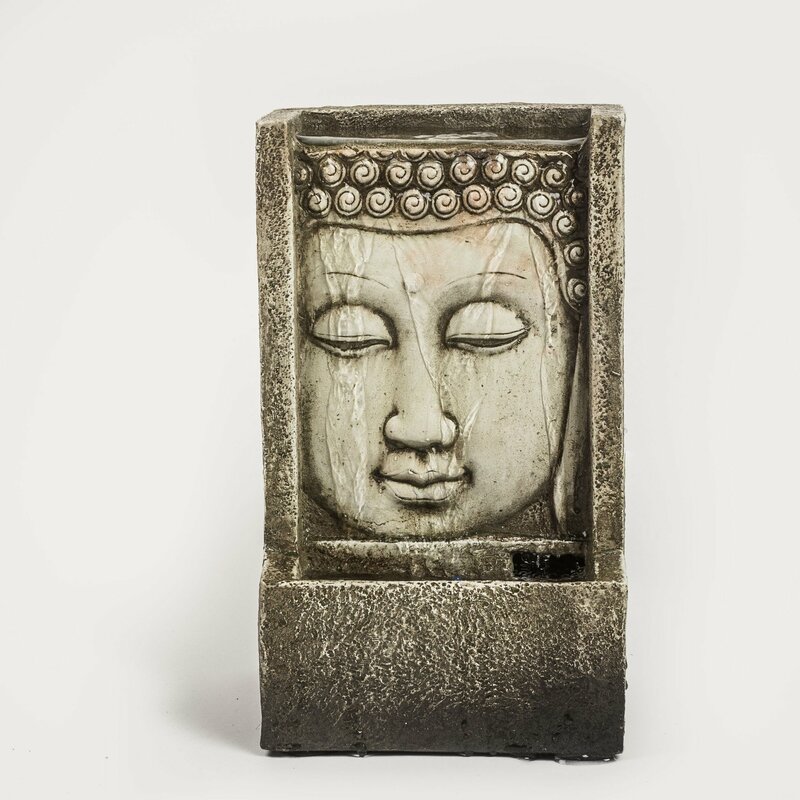 The Small Buddha Face stands 28cm tall which makes it an ideal table-top fountain. The water runs over the buddha's face and into the reservoir below. There are multi-coloured LED lights in the trough. The fountain comes with the pump and LED lights.